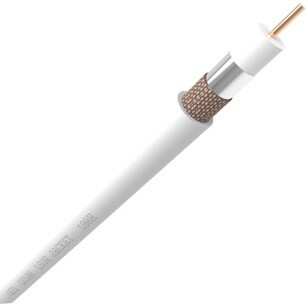 QED QX100 White is high quality cable manufactured to the industry standard CT100 type geometry, this comes as a 100m box for professional installation use. Ideal for professional TV & CCTV installations including digital satellite, terrestrial and cable TV. 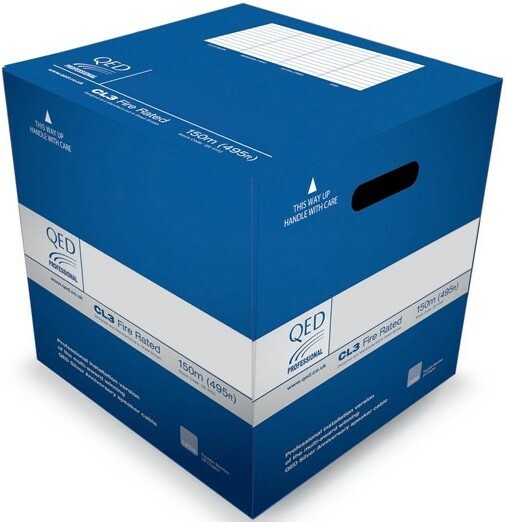 Each complete QED Professional cable design is fully tested to LSZH standards and reports are available on request. We don't just use a fire rated jacket material over an ordinary cable assembly; each complete cable design including jacket and all internal conductors has to undergo rigorous fire safety testing to the required standards.